Our online store contains our full line of woodburning and gas burning stoves, stove and chimney pipe, hearth pads, replacement parts for all our stoves, and a huge selection of stove related accessories including heat shields to let you keep your stove close to the wall. PLEASE READ BEFORE ORDERING. Our store ships UPS. If ordering a small and/or lightweight item, please call us for USPS shipping options. More information on all aspects of our stoves including delivery, installation, and troubleshooting is available in our public library (see button at top of page). 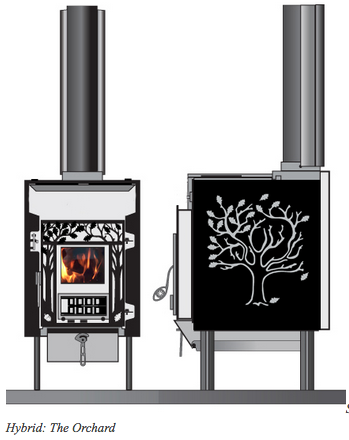 We have 10 staff members who are certified by the National Fireplace Institute as wood or gas stove specialists.